NSPIES at the bar in the new look Bull and Gate tell me of an unexpected reunion for two of the Holborn and St Pancras election candidates. 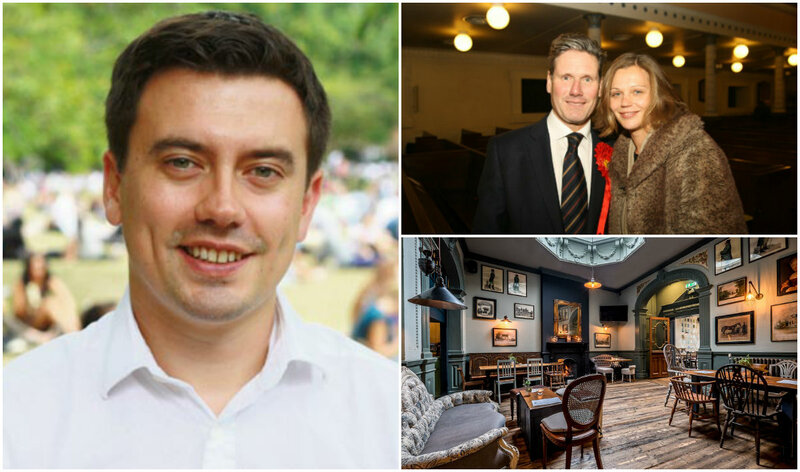 Tory runner-up Will Blair was adding to his encyclopaedic knowledge of all of Camden’s pubs his party colleague Tom Smith last Thursday when all of a sudden Labour winner Keir Starmer appeared. Inside, the new MP’s wife, Vicky, was celebrating her birthday. The gallant knight insisted that the pair of Tories shared a post-election drink. ‘I think I was losing my husband votes by the end of the election,’ Mrs Starmer could be heard telling Will, ‘I kept telling everyone what a nice guy you are’. What peacetime bonhomie in the freshly kitted-out Kentish Town bar, which these days looks rather more upmarket than its days as an indie music hangout. Those keeping up will remember Will’s quiz team buddy Damian McBride, he of McPoison fame, decried the fact Keir would never been seen a pub like O’Reilly’s – a rather different operation a 100 yards down the High Road – on the old Irish pub’s final night in operation. The News. The Biz. The Goss! Are you a gastropub man or an O’Reilly’s man, Keith? You’ll find me in a JD Wetherspoons. Blue collar I am.